My name is Lee Durant and I’m a Shoot/Edit Cameraman employed by the BBC based in the Newsroom at New Broadcasting House in London. 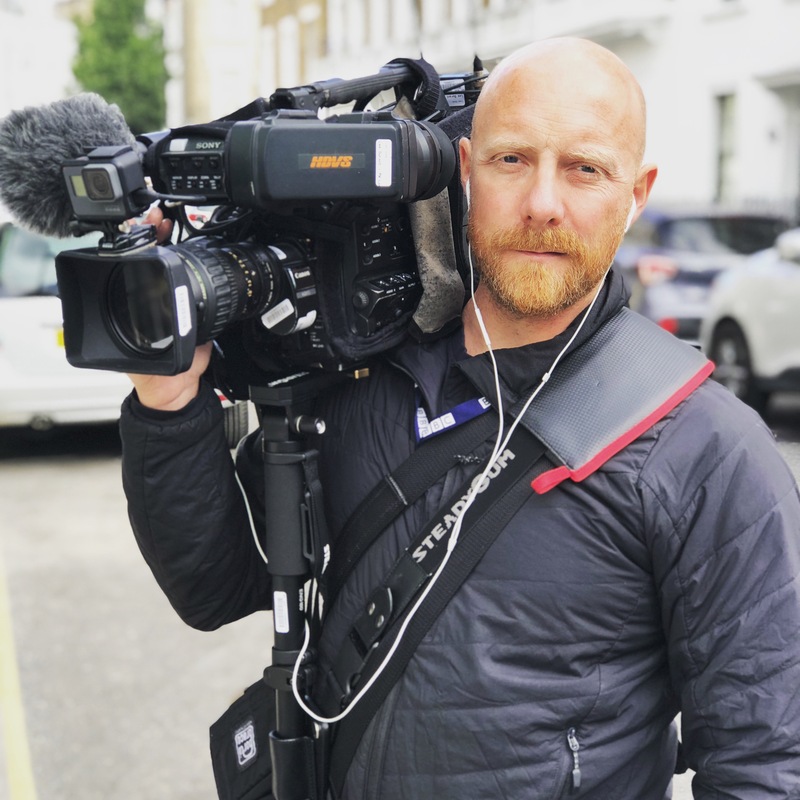 I have been working as a cameraman in broadcast news since 2010 and I was fortunate enough to get myself a staff job with BBC News in Feb 2018, before that I had been a freelancer working mainly for ITV News (ITN), Reuters and the BBC. I was a Royal Marine for 9 years before transferring to the Royal Navy to become a photographer. When I left the military I started at the very bottom of the press pack as a stills photographer working for small news agencies before eventually becoming a regular freelancer at the Daily Mail. It was at the time of the Pope’s Visit to the UK when I started in the world of TV, freelancing for Reuters where I quickly had to learn the basics of Newsgathering, shooting and editing agency packages that were to be used by broadcasters around the globe. I approached ITV and BBC News when I thought I had enough experience to work without being out of my depth however working for the broadcasters is a whole different beast indeed with new pressures and demands on skills and confidence. 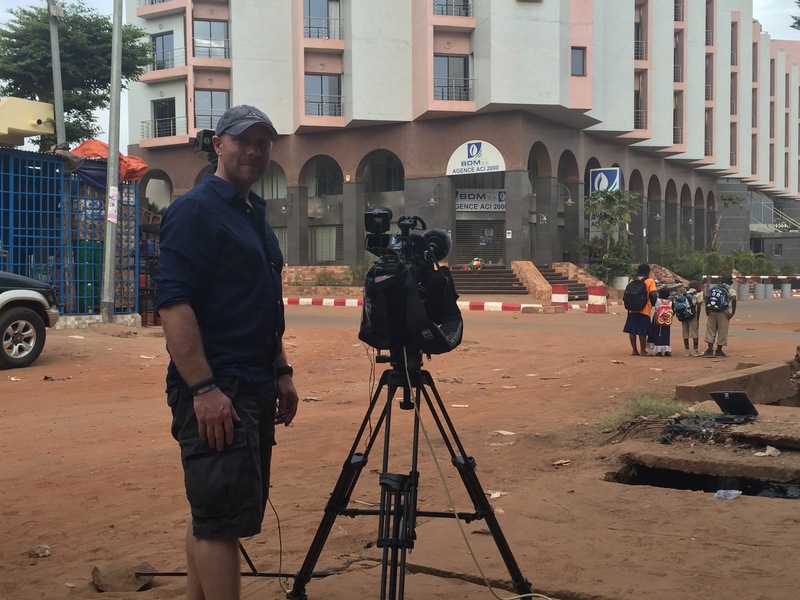 Mastering live transmission, Shooting and editing packages under time pressure for the bulletins and travelling abroad to hostile environments at last minute are all pressure tasks so having kit and skills on the ball at all times is a must. I have been fortunate to have covered some massive jobs in the last few years including two elections, two Olympic Games, two Royal Weddings, many terror attacks and some great features and interviews. Being based in London has helped but you only get the big jobs when trusted to produce the goods so someone must think I can do it. Although I believe that you make your own luck in this industry, I have been very lucky in respect to the people I have met along the journey and the fact that those individuals have had the confidence to believe that I can do the job is a bonus. It’s been an incredible journey so far and I’m looking forward to the rest of it. With this blog I hope to show some of present work I am involved in and some of the work I have been proudest of. They will be in no particular order but I hope they are of interest. Its also a good way of improving my own writing skills. This website will always be a work in progress so thanks for visiting, however I’m not afraid to embrace the perils of social media I use try to use Twitter as an online CV/diary of my daily jobs so please follow me there and I use Vimeo and Instagram to store and show most of my work.